Starved for Time? Snack on This. Many leaders are hungry for time. 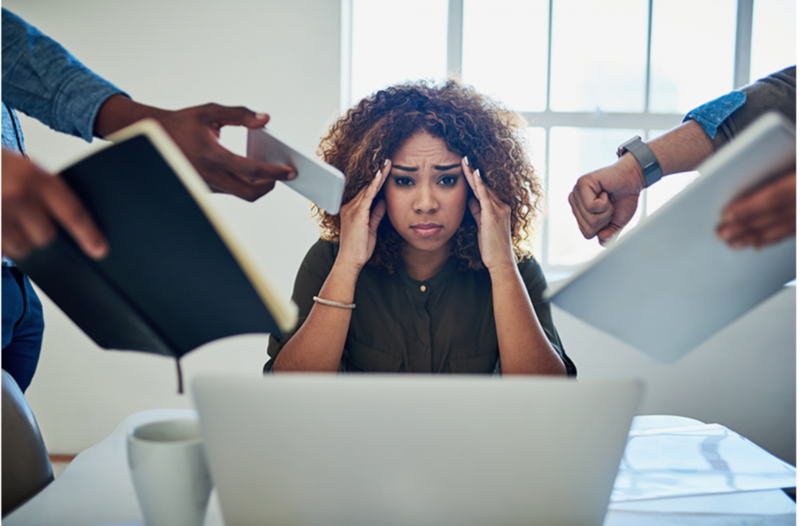 Last year, the Center for Creative Leadership conducted a survey that found 88% percent of leaders report work as a primary source of stress in their lives and that having a leadership role increases the level of stress. One of the top reasons for leadership stress? Lack of resources and time at work. As the new year unfolds, many of us will reflect on what we hope to achieve. Some of us will make a list of action items and add those to our already over‐flowing work schedule. It’s already February – for many of us, most of these good intentions will be forgotten or pushed back until later in the year. Instead of making more goals and to‐do lists, I encourage you to hit the pause button and reset your attitude about time. Give your time the respect it deserves. Time is the most precious, and limited, resource we have. The one thing we can never renew, recycle, or re‐manufacture is time. How and where you spend your time, and why you choose to do so, are three of the most important decisions you’ll ever make as an effective leader. Choose wisely. Respecting time means making every second count. This requires a deep appreciation of how precious your time really is. 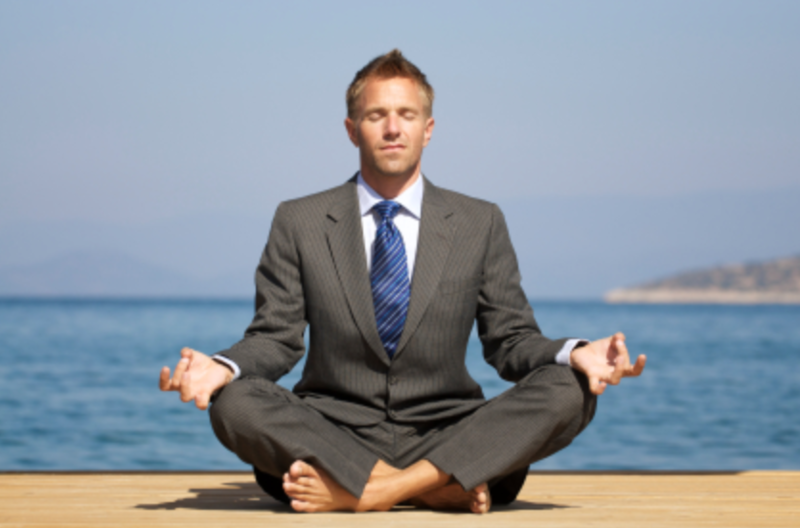 Taking mindful action to make the best out of every moment is what renews and restores our abilities to be an effective leader. Here are some simple suggestions that require only your commitment and awareness. Are you one of those leaders who feel like they’re out of time before 9 AM? Do you work long hours driving yourself and others for results? At the end of a long, tiring, and sometimes frustrating day, do you try to then squeeze in quality time with family and friends but not really enjoy it? Stop doing and spend some time being. No matter how busy you are, there is always time, even if it’s just 10 minutes, to make time for yourself. Find it, today. It’s not enough to be busy, so are the ants. Not all of my coaching takes place in the workplace. When clients arrive at the farm for a one‐on‐one coaching session with horses, I ask them to ‘sit with the horses’ for 15 — 20 minutes, in silence. Horses are ‘being’ masters. They have a lot to teach us about the elevated state of well‐being we can reach when we simply and fully experience each moment we are in. I guide clients through a centering process during which they relax, seek stillness, and quiet their mind. They just sit and practice doing nothing except being with my horses. For the consummate multi‐tasker, or the person who is always compelled to be talking or doing something, this isn’t as easy as it sounds. 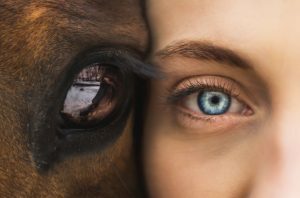 As clients settle fully into the experience, a connection begins to form between humans and the horses. You can sense it, feel it, and see it. It’s palpable energy with soft edges, enfolding the horses and my clients. My horses graze closer; they often will playfully take a client’s shoelaces in their teeth and untie them. Or sniff a hat or scarf. Always curious, they walk up and take in the smell of your hands, feet, and hair. Sometimes they stand with their head hanging over a client as if welcoming them into the herd. They may even slowly lower their magnificent bodies to the ground and lie down close by. When horses do these things, it signals a connection has been established. 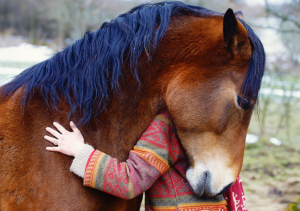 This is a powerful moment – because once there’s a connection, horses and humans accomplish things together with a greater sense of teamwork, cooperation, and understanding. Everything is easier with this connection than without. Leaders who establish a meaningful connection with their team enhance the team’s productivity and effectiveness. Leaders who set a furious and intense pace, who spend long hours driving themselves and their team for results, are often too pressured and stressed to even think about the benefits of meaningful connection. Don’t be that leader. Quick tip for being, instead of doing: Find a comfortable place to sit and block 8 — 15 minutes to be still. Your “sit spot” can be anywhere – under a tree, on a park bench, near a water feature in your garden – and if you want to do this with my horses, let me know! Get settled. Breathe. Center. Clear your mind of its busy, distracting thoughts. With eyes closed, turn your attention outward and become aware of your whole environment. Notice what’s in front of you, beside you, behind you, over and above you. Tune your ears to all the sounds you can hear, or the quiet. Focus on feeling connected to wherever you are; become an integral part of that place. Nothing else is required of you. The practice of reflection involves clearing our minds of chaotic, random thoughts and being intentional about what we choose to think about. 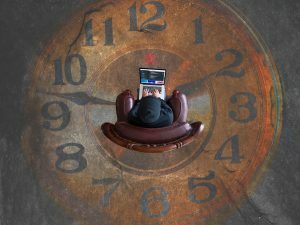 Even Warren Buffet and Bill Gates believe reflection time is essential for successful strategy development. Effective leaders plan for the future by understanding the present. I think of reflection as focused, yet unstructured time to think about what’s going well and what course changes need to happen. It’s an opportunity to assess growth and progress. When leaders step outside their day‐to‐day work and look only at the larger strategy, all sorts of pieces begin to fall into place. Reflection allows for the deliberation of process improvement and goal achievement. This practice keeps you forward-thinking and focused on where your industry is going, where the team and organization are, and what needs to happen to close any gaps. I encourage leaders to begin their day with self‐reflection, which is also an exercise in self‐awareness. 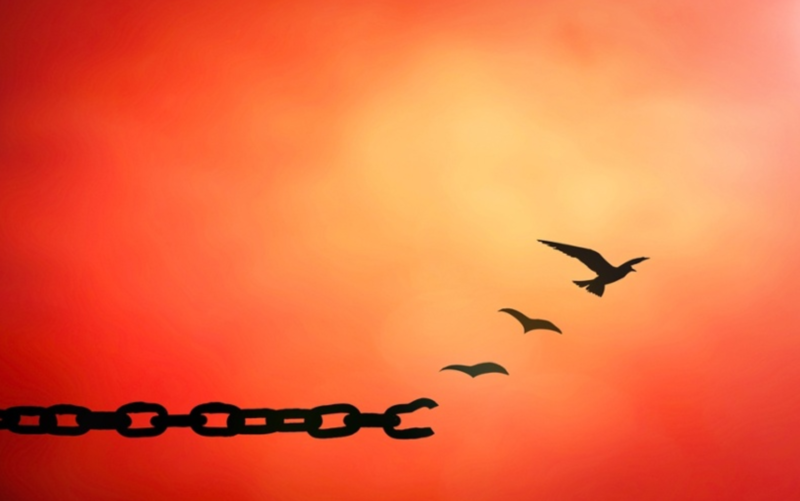 If we are to improve our leadership skills, then it’s important to take stock of our strengths and weaknesses, our values and behaviors, and the ways in which we attempt to influence others. In other words, self‐awareness and self‐reflection are about gaining a deeper understanding of our leadership style. Journaling is an effective method for self‐reflection. Take ten uninterrupted minutes each day, for thirty days, and write down your thoughts on where you are now as a leader and what you can do to improve. This article has a series of great self‐reflection questions. Effective leaders have the ability to focus on what’s most important at that moment. Yet, giving full attention to what we’re doing or to another person is not easy in a world full of competing priorities. Many leaders believe they are good multi‐taskers. However, research shows that multitasking decreases our ability to think clearly, solve problems, and make good decisions. Notice what time frame your mind is in. If it’s in the past or future, gently bring it back to the present. There’s no better place to live and work than the here and now. Stepping away can sometimes have a bigger impact on your success than staying in the action. It might seem impossible to do, but try to carve out two hours at first. Remember, Warren Buffet carves out whole days during his work week! Tell everyone you’re at the dentist. I promise the world will not come to an end. Find a place where you can hide from your task list and find yourself. Think about how you can shift from a preoccupation with all the chaotic, reactive, repetitive activity and do something better. Then give yourself time every week – from 30 minutes to even a whole day — to find peace, reflect, and move forward. Time isn’t wasted when you give it the respect it deserves. Your leadership effectiveness, the quality of your life – in an out of the office — and your well‐being depend on it. Want to schedule a coaching session with Amanda Madorno? Contact her today.